GLOW RUN for the WIN! What is the Glow Run for the WIN 5k? WIN's 5k Glow Run is an exciting race for both the avid and the novice. For the novice, the race is less about how fast you run and more about enjoying the glowing experience and course with your friends and family. 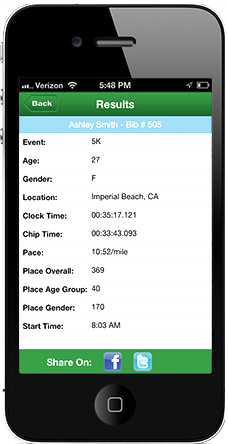 For the avid racer, the course is an excellent way to have your best run timed. This race sees participants of all different speeds, ages, shapes and sizes ready to GLOW! So whether you are a casual walker or an avid runner "The Glow Run for the WIN" invites you to be part of the FUN! Why Glow Run for the WIN? Alarming statistics indicate that, as you read this short sentence, a woman has become the victim of an assault. According to the Partnership Against Domestic Violence, every 9 seconds, another woman in the U.S. is beaten. It’s a sobering reality that in our country 1 in 3 women will experience domestic violence in her lifetime. The highest demographic of victims are between the ages of 20-24. Domestic Violence has generational implications too. Girls who witness Family Violence and don’t receive help are more likely to enter an abusive relationship as a teen. Young boys from families where Family Violence is prevalent are far more likely to become abusers as teens and adults if no one intervenes. YOU: You can be a part of the change.. YOU can make a difference on May 11, 2019, at our 7th Annual GLOW RUN for the WIN! Course: The Glow Run Racecourse will be located at the beautiful Harry Myers Park located in Rockwall, TX. This course takes you around a small peaceful lake and through the rolling hills of the park. Timing, provided by RUN2WIN TIMING SERVICES. Runners and Walkers can register as individuals, a couple, a family of 4 or sign up a Team of 10! Please keep in mind, that only the first 150 to register will be guaranteed a race shirt and goody bag! DJ CONE playing and you can enjoy a FAMILY FUN PARTY! Register Early as lines were very long last year.